The truth is that I don’t really like beans, that is not to say that I don’t eat beans, NO I do eat beans, but I guess I had a lot of options so I can skip beans. I grew up surrounded with guys that can eat beans as 3 square meals a day and still will want it same for the rest of the week. It does not bother them the same way it bothers me. Then I started reading more about beans…funny right. I have learned to get more beans into my diet. 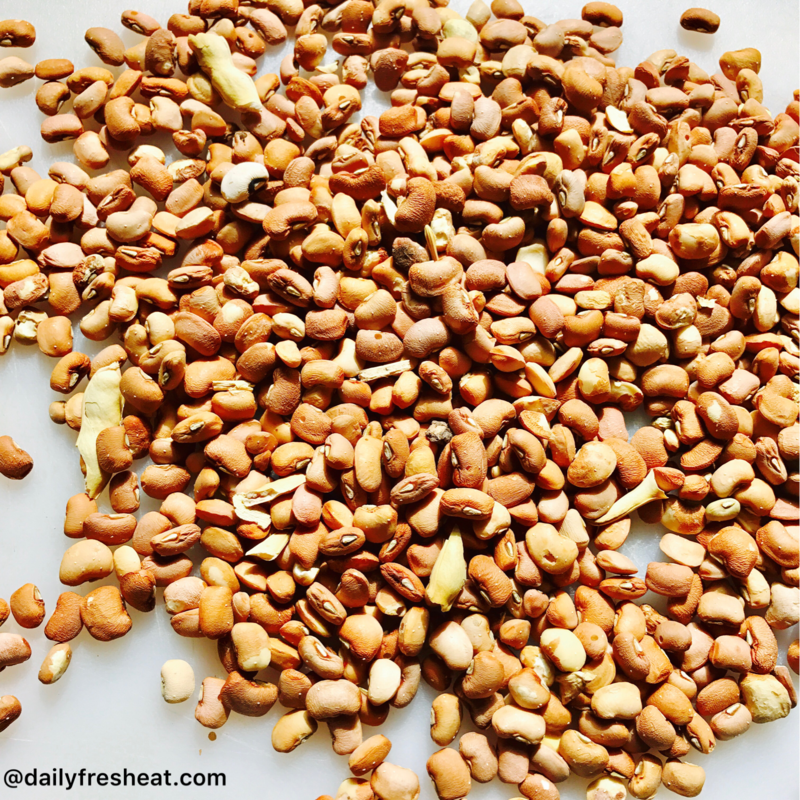 Here is it, beans are very healthy, and they are affordable. Beans are high in antioxidants, fiber, protein, B vitamins, iron, magnesium, potassium, copper, and zinc. Eating beans regularly may decrease the risk of diabetes, heart disease, colorectal cancer, and helps with weight management. 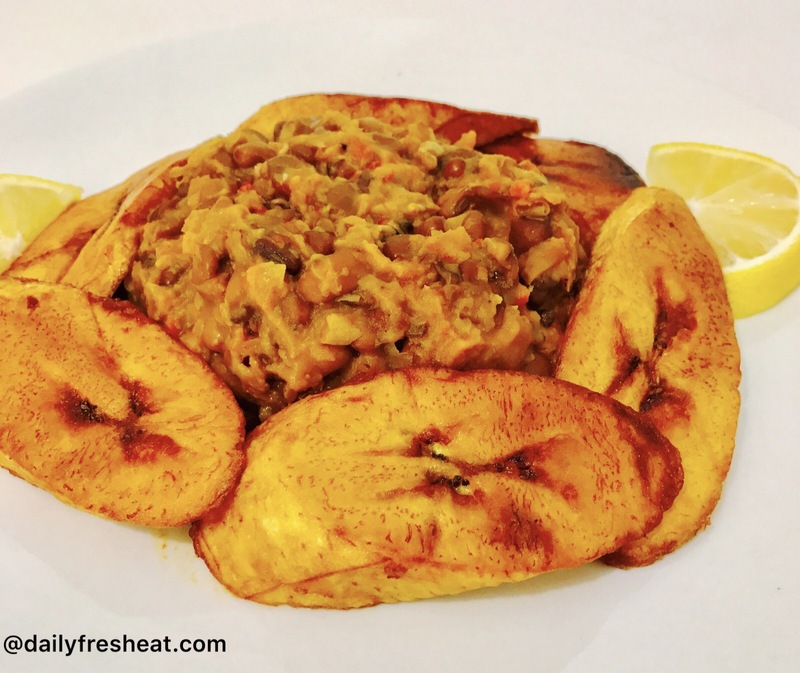 Beans are hearty, helping you feel full so you will tend to eat less. Pick the beans, wash thoroughly and place the pot of beans on the stove. Add enough water to cover the beans. Cook the beans till its half done, then wash it again with enough water to eliminate most of the gas. Put it back to the pot, add some water and cook. Add water if necessary, but keep the water same level with beans. Once it’s soft, add the red oil, salt, and the fish and cook for the next two minutes. Add salt if required. I usually don’t like the water drying up. 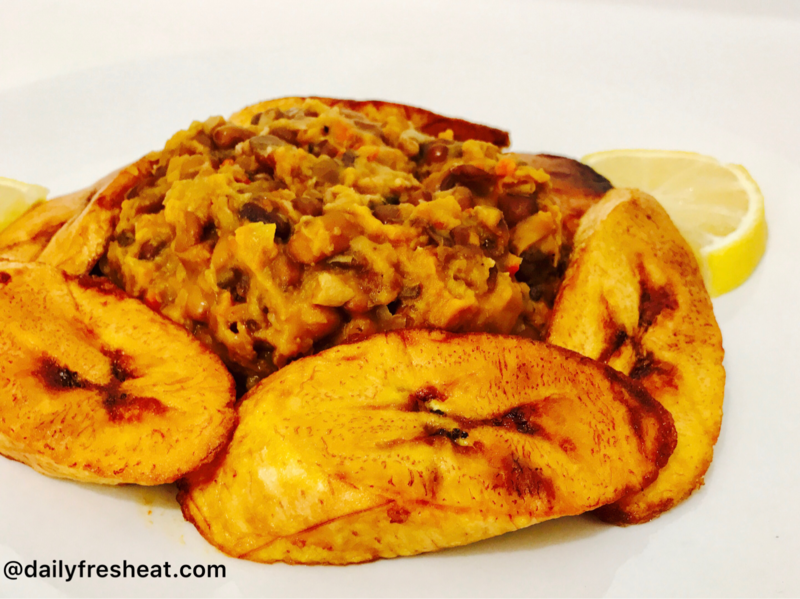 Serve with Custard, fried plantain. soaked Garri or bread. You understand the blog posts and comments to any blog post here do not constitute professional advice or recommendation of any kind. Do not rely on any information contained on this blog to replace any professional advice. I am not a certified nutritionist and I am not making any guarantees or promises regarding the accuracy, reliability or completeness of the information presented. So lovely dear, can’t wait to have a taste.